Insulated There are 10 products. This slim profile glass water bottle has a stylish silicone grip sleeve and sturdy metal cap. This sturdy silicone water bottle can be rolled up for easy storage and portability. 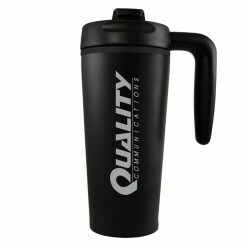 This double-walled acrylic tumbler is accented by a colorful, custom-branded silicone sleeve. 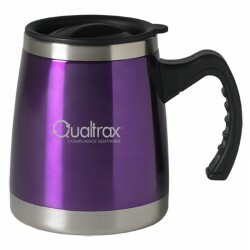 This customized travel mug features double-wall, stainless-steel insulation to keep your drink at the perfect temperature. 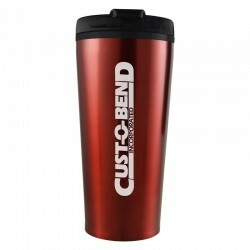 This elegant, customized tumbler features a rich leather hand grip and a gleaming stainless steel body and lid. 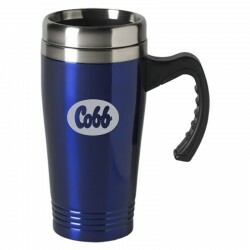 This personalized, insulated coffee mug features a large area for your logo, plus a sturdy plastic handle and spill-resistant lid. 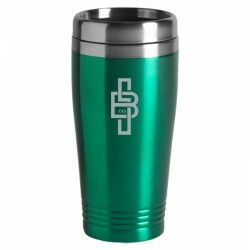 This lightweight, personalized tumbler is available in your choice of bold, metallic colors, and features double-wall insulation to keep your beverage at the perfect temperature. This extra-large version of our metallic color tumbler has even more space for your favorite beverage – and your engraved logo. This foam-insulated travel tumbler will keep your drinks hot or cold in style. 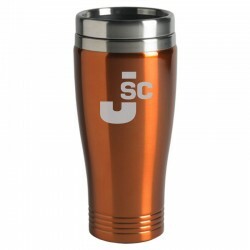 The tumbler features a translucent matte finish, an extra-large area for your logo, an easy-to-clean, spill-resistant flip-open top, and a non-skid bottom. 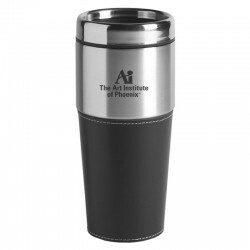 This foam-insulated travel mug has all the same great features of our travel tumbler, plus a stylish handle. The travel mug features a translucent matte finish, an extra- large area for a logo, and an easy-to-clean, spill-resistant flip-open top.